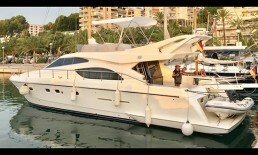 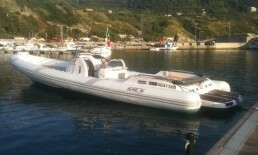 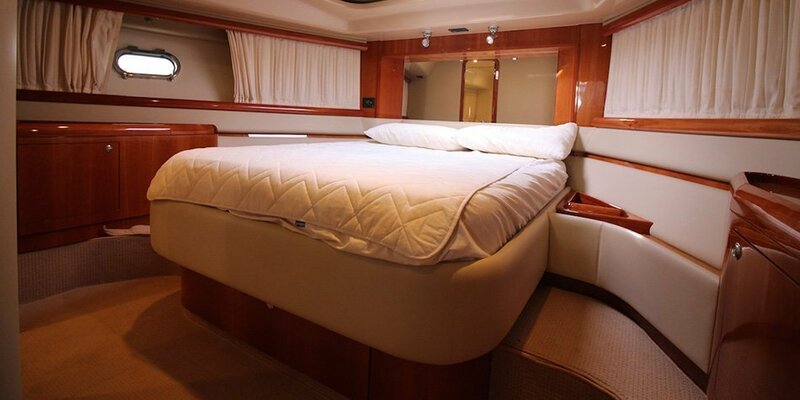 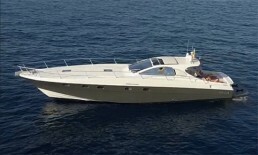 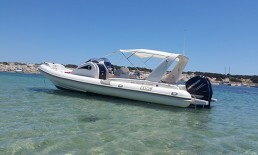 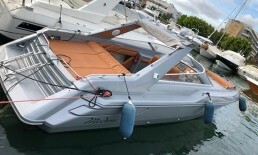 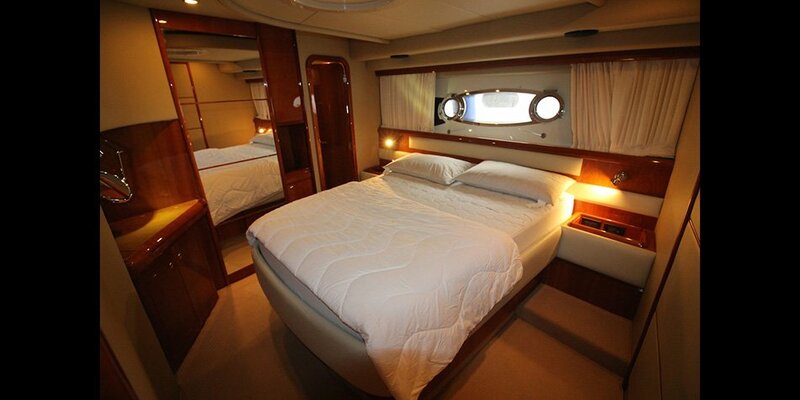 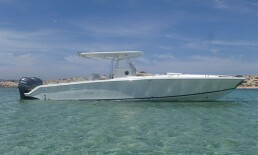 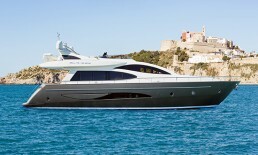 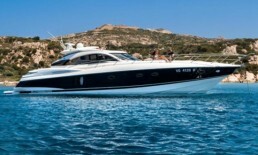 The Ferretti 590 offers accommodation for 6 guests. 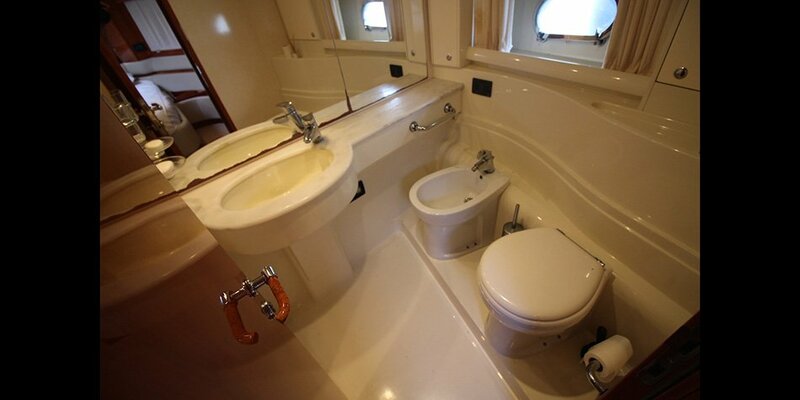 The main cabin have to double bed and large bathroom with separate shower, the VIP guest cabin at bow with double bed and en-suite bathroom and 3rd guest cabin with 2 single beds and bathroom. 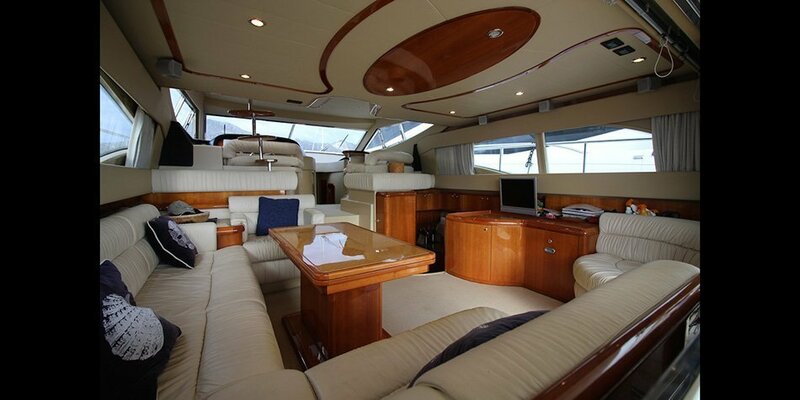 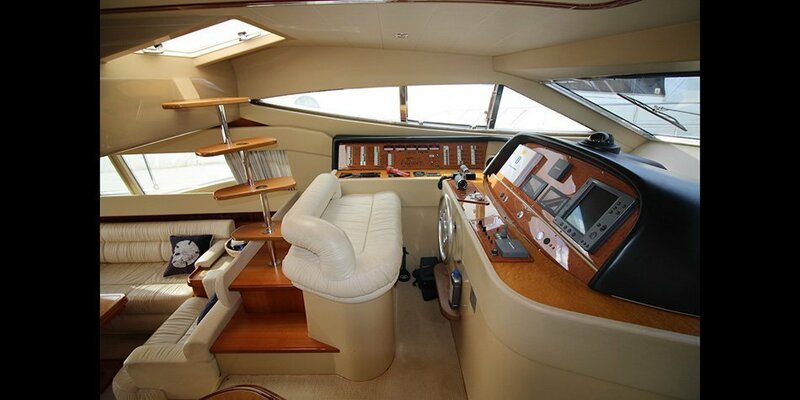 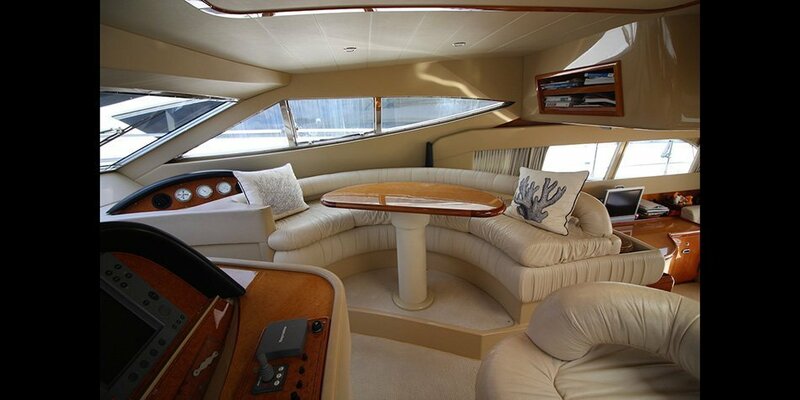 A large saloon with U-shape sofa with table and second small sofa w/table opposite to helm station. 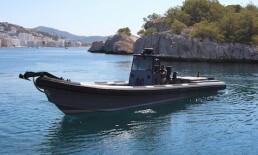 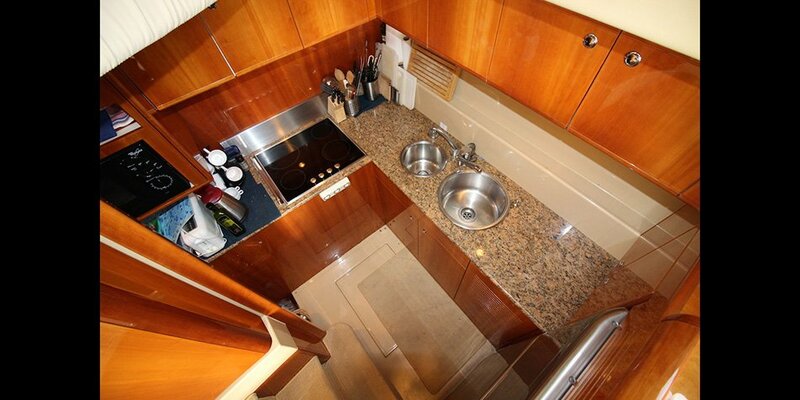 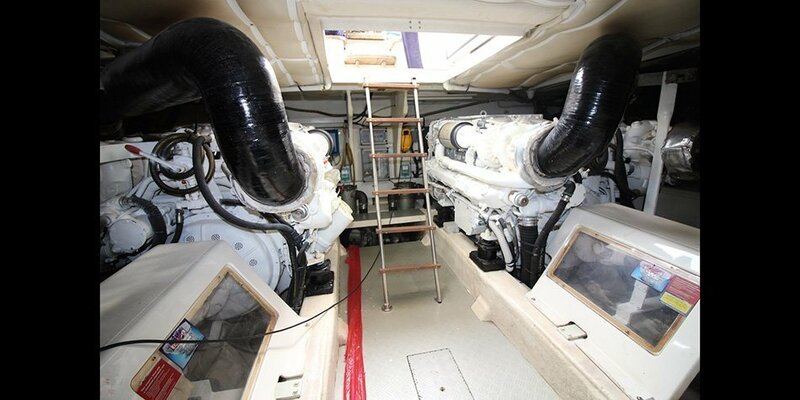 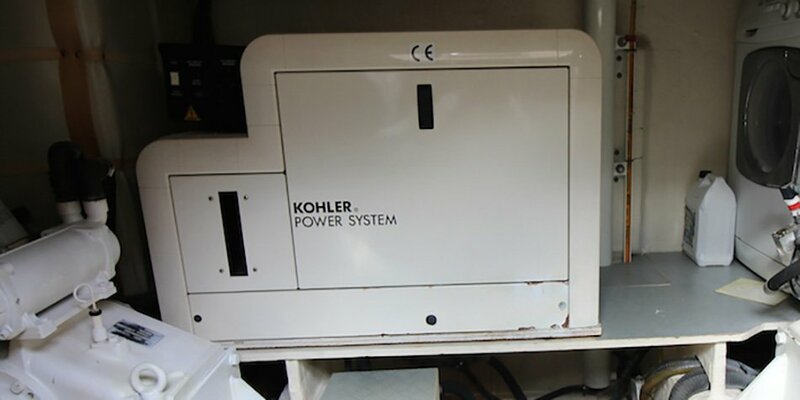 Completely equipped galley. 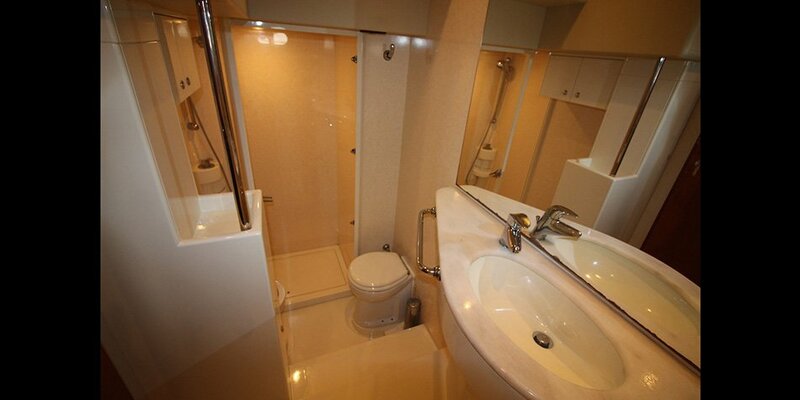 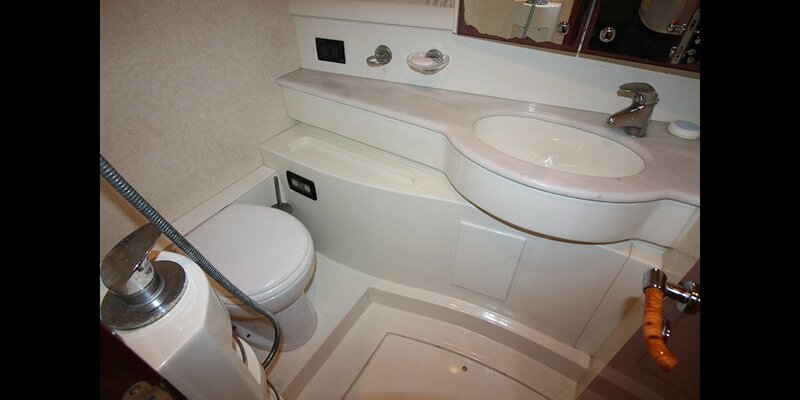 The Crew cabin with bathroom next to galley and 2nd crew cabin with entrance in cockpit. 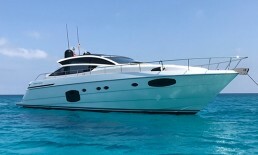 The yacht is perfect to enjoy the beautiful and magic hotspots of Ibiza and the Balearic Islands surrounded by pure luxury atmosphere.